Real Estate in Okotoks is like a self-contained city. It has everything a buyer is looking for. The Okotoks Real Estate market has everything from acreages for sale, to condominiums to estate living. Pricing of smaller Okotoks acreages to the north are somewhat higher than those south of Okotoks. With the expansion of Okotoks' real estate, its amenities and Deerfoot extension, properties to the south are catching up in value. Chatelaine Magazine is a Toronto-based national publication that put Okotoks on the map back in 1992 by choosing this city as one of the top 10 places in Canada to live. Here is what they said about Okotoks, Alberta! 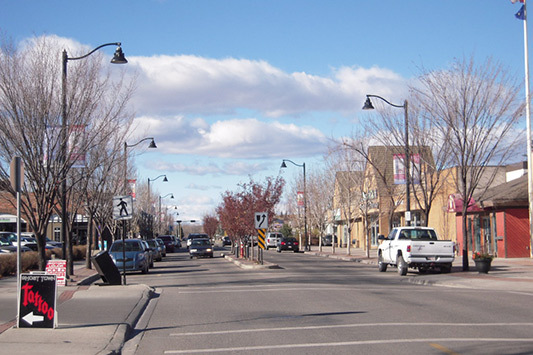 "Picturesque Okotoks, which straddles the Sheep River, has tree-lined streets and wide boulevards, and a young population: 85 percent of its residents are under 45. Maybe that's because Okotoks is within commuting distance -- 34 kilometres -- of Calgary and provides a safe affordable environment in which to raise a family. And jobs -- in energy, technology, manufacturing, agriculture and tourism -- abound in the area which has an employment rate of 97.2 percent, compared to the national average of 89.7 percent. 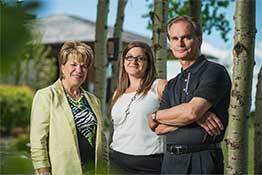 Sheep River Valley is hard to beat Okotoks for small-town friendliness and community pride. The youth are so committed to the beautiful Rocky Mountain environment that their local high school, Foothills Composite, has been designated one of Canada's "green" schools. With large shopping facilities archored for retailers and Box stores such as Cosco, Home Depot, Canadian Tire, numerous office developments and various new subdivisions, Okotoks real estate is almost on par with Calgary for suburban homes. High end communities such as the lake community of Crystal Ridge, Air Ranch and others also offer very high quality homes in the $750,000 + range. Prices for acreages in the outlying areas of Okotoks range from $600,000 for smaller acreages up to $1.5M+ for estate acreages in areas like Willowside and Rusty Spurs to the north of Okotoks. Numerous acreages now spot the lands south of Okotoks as many families now experience the quick access and convenience of more moderately priced acreages south of Okotoks. The big draw to Okotoks and areas for many families are the many school choices and sporting facilities with the town having a great variety of both compared to most Alberta towns or cities. Norris Coulee a 320 acre estate acreage development to the east of Okotoks along Highway 552. Acreages here range from over $1M to $3M+. This community also has its own new school. SEARCH OKOTOKS MLS® LISTINGS NOW! Enjoy the new recreation centre, with ample programmes for all ages, including hockey arenas and swimming pools. For the golfer, enjoy the 3 established couses, Crystal Ridge, D'Arcy Ranch and River's Edge.